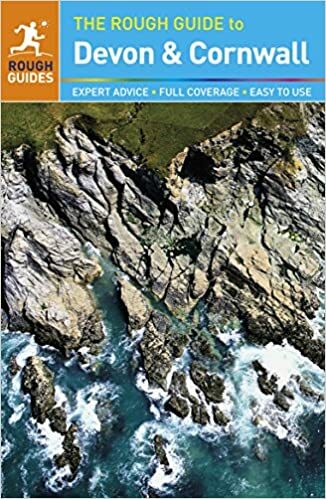 I've always loved pirate stories and I sort of grew up reading about the derring-do exploits of Sir Francis Drake and Sir Richard Grenville, of Frobisher and Sir Walter Raleigh. So it's clear that no trip to Devon would be complete without visiting the replica of Francis Drake's ship, The Golden Hind, which is moored in Brixham harbour. The Golden Hind is more than just a pirate ship, of course. It's a ship with a history of her very own - and a mysterious history at that. 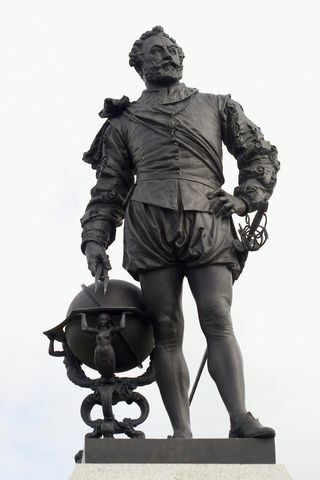 Between 1577 and 1580 Sir Francis Drake's ship The Golden Hind sailed right around the world - the first time in recorded history that a ship had done so. 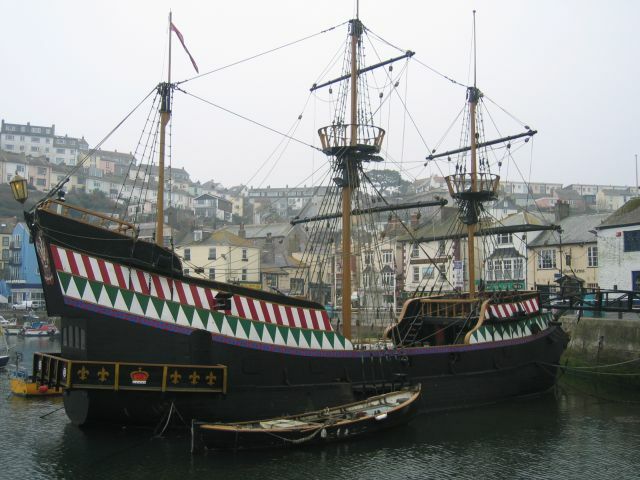 The Golden Hind replica in Brixham Harbour can be toured throughout spring and summer each year and gives a fascinating opportunity to imagine what it might have been like to travel on an Elizabethan ship. The Golden Hind began her known life as The Pelican - even though nobody really knows when, where and by whom she was built - and in 1577 she sailed from Plymouth, just down the Devon coast, to South America and around Cape Horn. Her captain was Sir Francis Drake: sailor, adventurer, businessman and - to be honest - pirate. As well as taking his ship on a voyage of discovery to the 'New World' of the Americas, Drake objective was to capture as many Spanish ships as possible during his travels. Spain was a major European power in those days; tremendously wealthy from the gold found in the Americas. And Catholic Spain had invaded the Protestant Netherlands, so with the balance of power leaning precariously, England's Queen Elizabeth declared war on Spain. Officially, the queen knew nothing of piracy, of course. But Elizabeth greatly approved of Drake's activities - not only did they keep the Spanish on their toes, but they brought literally tons of gold, spices and other valuable commodities to England, much of which ended up in the royal treasury. 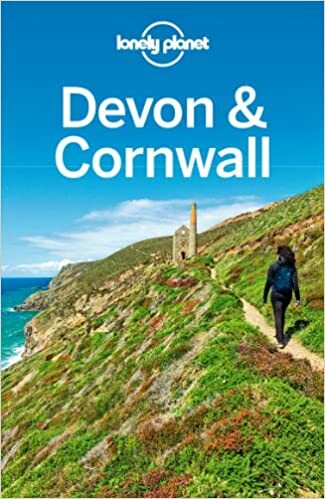 This in turn financed further expeditions and, ultimately, helped to defend England when the Spanish Armada attacked in 1588. From Cape Horn, Drake sailed up the east coast of South America and across the Pacific to the Philippines. Then The Golden Hind went on to Indonesia, gathering treasure as she went. From there she sailed across the Indian Ocean and around Africa, finally calling at Sierra Leone before arriving back at Plymouth three years after she left. 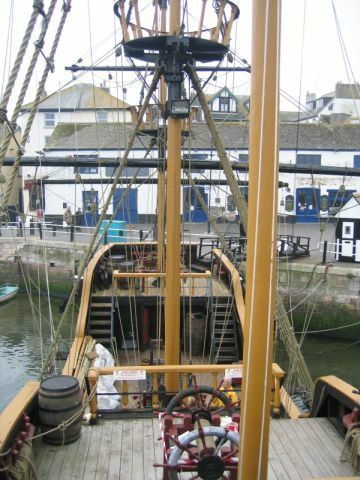 Standing on the deack of the Golden Hind in Brixham Harbour, it seems a miracle that Drake and most of his crew could survive such a long and dangerous journey in such a very small, very primitive wooden ship. The Golden Hind is only about 120 feet long and 20 feet wide (36.5 x 6 metres). Four other ships had set out from Plymouth with Drake, but all four had either sunk or been damaged and cannibalised to outfit the Hind - a statistic that makes her success even more striking. On his return, Drake was knighted by the Queen on the deck of his ship (an event that has inspired many patriotic paintings and prints). Later, Drake's ship was moored at Deptford as a permanent reminder of his achievement. The replica at Brixham, then, continues a four centuries old tradition of valuing and exhibiting great English ships. 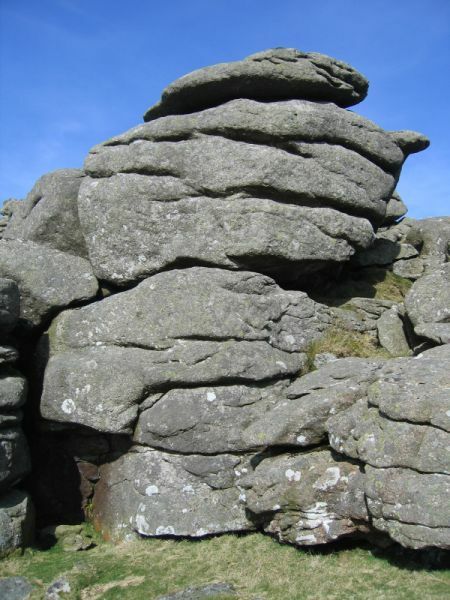 She has been there since 1963 and she is well worth a visit. The ship is moored beside the Quay - where there are shops, hotels, excellent fish restaurants, chippies and pubs - and she swims among the fishing boats and dinghies like a whale among minnows. Events linked to her include educational days, pirate re-enactments and sea shanty festivals. 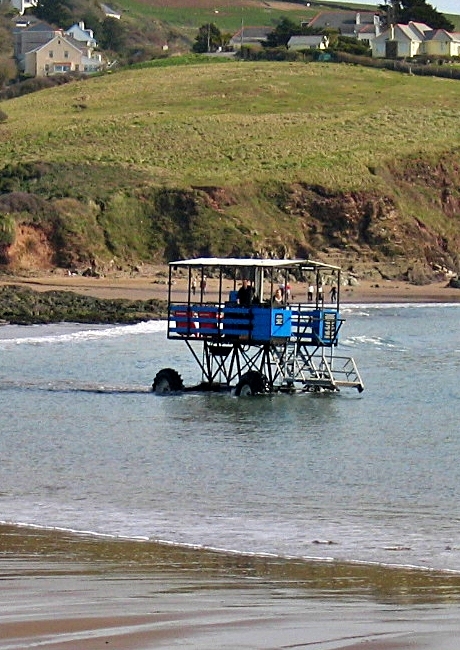 Return from your exploration of The Golden Hind to the Devon page for more ideas for holiday days out.